Exuding elegance and grace, the delicate orchid is a symbol of love, luxury, and beauty. These exotic plants produce ornate, intricate flowers that look beautiful in the home. The orchid family is a large one, with bright, colourful blooms that are easy to distinguish from other plants. Most orchids are natural epiphytes, growing clinging on to other objects, such as rough bark or stone. Yet, they can be grown successfully in pots with the correct care. While many types prefer to grow outdoors or in the greenhouse, there are a few species suitable for growing in the home. The moth orchid (Phalaenopsis), dancing lady (Oncidium types), and slipper orchid (Paphiopedilum) will all thrive indoors with the correct care. If you provide the ideal environment and nourishment your orchid will bloom beautifully. As a favourite houseplant, orchids do require the right care to ensure they grow and flourish. In their natural habitat, orchids can be found with their roots dangling in the air as they cling to trees. Providing a desirable environment is the first step towards success with orchids. A light spot out of direct sunlight and aerated, well-draining soil are necessary for your orchid to thrive. Pokon offers an extra-airy potting soil with bark chips designed to provide the optimum environment for your orchid. It’s important to supply your orchid with enough nourishment, particularly if you want luscious blooms again and again. 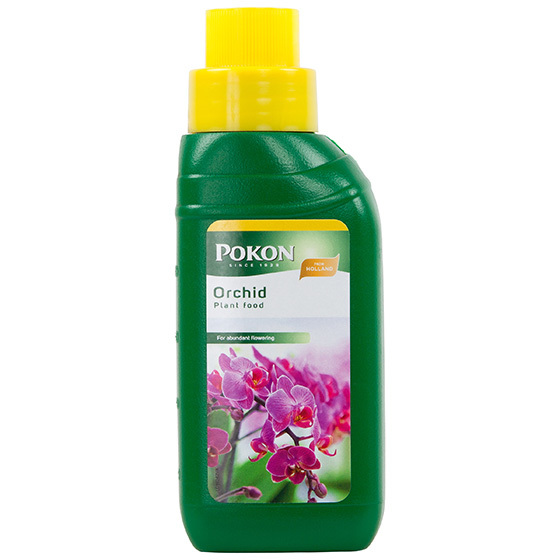 Pokon produces a plant food formulated specifically for the growth of orchids. Perfectly balanced for the care of your orchid, this fertiliser should be given once every week and can be used all year round. To prepare the orchid food, mix 5 ml of fertiliser per litre of water, be careful not to over-feed your plant. This applies to watering as well, too much water will cause the roots to rot. Orchids are a sought-after choice when it comes to plants for the home. Keep your orchid well nourished and watch it blossom. Hadeco stocks a range of Pokon products, including the Pokon Orchid Plant Food. Buy your plant food from our online store. We also have a wonderful range of winter bulbs currently in stock. Visit our store here. Anyone who loves beautiful things will adore a garden of hyacinths. From ancient Greek lore to French royalty, these gorgeous blooms have been a favourite throughout history. Originating from the eastern Mediterranean and West and Central Asia, hyacinths are grown and adored all over the world. In South Africa, the most commonly seen hyacinths stem from plants cultivated in the Netherlands during the 18th century and are either blue, pink or white. Fragrant and striking, hyacinths were a favourite of Marie Antoinette, the last queen of France. She had hundreds of hyacinths delivered to the palace daily to be placed in vases and used in her perfumes. The flowers have a strong, sweet scent that fills the garden or home with a heady aroma. Plant the bulbs between April and May for a vibrant winter garden that welcomes the spring. The bulb’s colouring will indicate the colour of the flower, allowing you to plan splendid displays of colour. Plant the same coloured bulbs together for impressive flower beds. Hyacinths are a beautiful addition to any garden. Whether they are adorning the flower beds or blooming in pots, hyacinths look gorgeous inside and out. 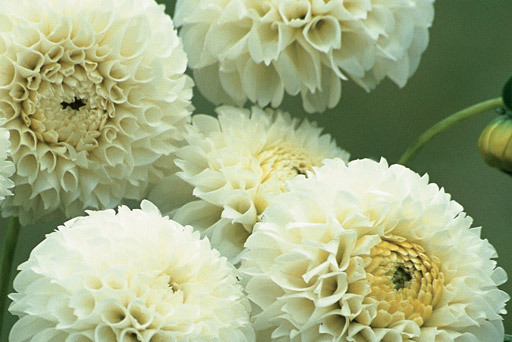 These fragrant flowers are uncomplicated and relatively simple to grow if you place them correctly. Preferring cooler temperatures, the hyacinth is best suited to a cool spot with morning sun and afternoon shade. Bulbs grown in containers should be kept in a shaded spot outdoors for the cold to encourage root growth. The best time to plant hyacinths is late autumn to early winter for a colourful display from July to September. Bulbs should be planted in a well-draining soil mixed with some compost. The ideal soil is equal parts clay, sand and organic matter. Give your bulbs extra care by adding a 3 CM layer of mulch over the soil. This will keep the soil at a constant temperature and retain moisture. Once planted, hyacinth bulbs require generous, regular watering every three to four days. Potted hyacinths can be moved indoors once they are in bloom. Their rich colour and lovely fragrance will brighten up any room. Hyacinths brought indoors should be placed outside at night, the colder temperature makes the flowers last longer. Feed them every two weeks with Hadeco Bulb Food for the best results. Hyacinths are timeless beauties, from ancient Greece to French queens to modern day. Prepare for a gorgeous garden blooming with hyacinths. Bulbs are available from Hadeco’s online store. Buy your bulbs here. There’s nothing more beautiful than a blooming bouquet of flowers to brighten up a room. All cut flowers need proper care for the best possible vase life. Whether you are a grower, retailer, or consumer, the correct treatment can extend the life of your cut flowers. Chrysal produces flower food designed to provide cut flowers with the necessary nourishment to keep them in bloom. Pair Chrysal’s flower food with proper treatment and your bouquets will have the maximum lifespan. Flowers need different care once cut from the mother plant. Everything from the water to the vase to the environment can affect the lifespan of your cut flowers. Flowers that received optimum care during the growing phase will have the best chance post-harvest. After harvesting, flowers can be affected by both the temperature and humidity. High temperatures cause cut flowers to develop too quickly, while humidity causes the fungus Botrytis. Controlling the temperature and storing in a clean environment preserves blooms. Once cut flowers reach their destination, it is advisable to cut the stems before putting them in water. The initial wound created during harvesting starts healing immediately. This minimises the stem’s ability to absorb water. The wound also promotes the growth of micro-organisms which contaminate the vase water. Cutting the stem removes any contamination and allows the flower to absorb water and flower food effectively. Always use a sharp tool and remove at least 5cm of the stem. A glass vase is the best vessel for displaying cut flowers. 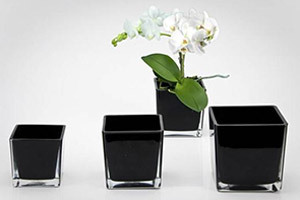 Using the wrong container could reduce your flowers vase life. Always clean your vase before use. Dust and bacteria can build up during storage, which will contaminate the water. A good scrub and a rinse should do the trick – Chrysal has some great cleaning products for vases. Fill your vase with fresh, clean water before placing your bouquet. Never use old water, the contaminants will affect your flowers. Feeding cut flowers is essential for natural flower development. You want your bouquets to bloom as if they were still attached to the mother plant. For cut flowers to reach their full potential, they need nourishment through every stage of distribution. Nourishment comes in the form of Chrysal flower food, dissolved in the vase water. Chrysal’s flower foods have been specially developed to provide cut flowers with every nutrient they need for optimum vase life. The food also helps regulate the vase water, keeping it clean from contamination. Chrysal provides formulated plant foods for every stage of your cut flower’s life. Providing your flowers these valuable nutrients will help bouquets reach their maximum lifespan. Ensure your displays bloom with life with Chrysal. 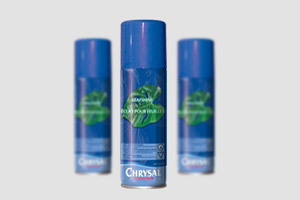 We stock a variety of Chrysal products. Visit Hadeco’s online shop to find the plant food for you. “Forcing” is the term used to describe the way tulips are manipulated into flowering in winter despite being spring blooms. In our country where the climate tends towards being tropical with sweltering tendencies in midsummer, tulip bulbs are stored in an artificially cooled environment at a steady 5 degrees. Mimicking the European cold means they’re tricked into believing it’s spring when they’re removed from their 5-degree environment and brought to the warmer temperatures offered by our mild winters. A new year brings new goals and dreams and plenty of opportunities to plant new bulbs. January is the perfect month to set your gardening goals and plan your horticultural calendar. Ensure your garden is in full bloom all year round. Forgo the traditional self-improvement promises and set yourself the task of bettering your garden. These 2018 garden resolutions will keep your flower beds blooming.